Invention Convention is an empowering opportunity for young students across the United States, as this educational program challenges students to find a problem in the world around them… and then, find a way to solve the problem. Students develop an invention by following a step-by-step process. The invention process involves research, writing, planning, and reflecting – on top of actually building the model or prototype. The expectations are high. Invention Convention gives students the chance to discover what they are capable of achieving. 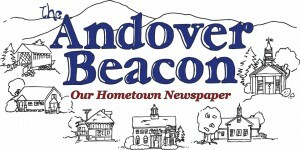 On Thursday, February 21, Andover Elementary/Middle School hosted its annual Invention Convention. The third-grade students in Mr. Hubbard’s class and Mrs. Peters’ class shared the learning and work they’d been doing for the three to four weeks leading up to that day. Behind the students and their inventions, trifolds displayed pictures of the students designing and building – along with the writing they completed while they worked on their invention. Students explained to judges, families, teachers, and visitors the problem their invention solves – and how their invention solves the problem. Students found a variety of ways to improve their world. Some students wanted to make their own lives at school and home easier and more organized. Others wanted to empower themselves through emotional or physical difficulties. At least 2 students were inspired by the helmet safety assembly our school held earlier in the year, which showed students how important it is to keep our heads safe. Rather than continue to accept these problems, students began to work toward a solution. To find a completely unique solution to a problem, a solution that makes sense and works, students needed to apply critical thinking, creativity, and some intense problem-solving skills. These third-grade students also needed to work within the time limits and with the materials that were available to them. In their writing, the students were asked to describe the process of coming up with their ideas and building their invention. They used a wide range of words to describe each part of the process – “frustrating,” “easy,” and “exciting” were just a few of the feelings the invention process brought up. After they built their first model, students were not done – far from it. Rather than accept their first attempt, students tested their model and decided how it could be improved – and then made those changes happen. By participating in this process, these third-graders had the chance to see what they are capable of. Rather than accept things the way they were, students worked to change things. The students worked through challenges and setbacks with critical thinking and creativity. They didn’t accept their first attempt – instead, they found ways to make what they’d created stronger and better. All of this work and thought and creativity led them, finally, to the day when they were able to share their invention with others. As I watched students speak proudly and confidently about their work, I remembered sharing my own invention when I was in third grade. Looking at them, I felt the same pride as I did at the end of my own Invention Convention, knowing that I had made life easier for the people around me. And here I was again, 18 years later, still trying to make the world a better place by teaching and supporting these developing young people. I hope the third-graders of AE/MS (and their families) went home that Thursday night proud of what they’d achieved. However, I know that the Invention Convention didn’t end when the day was done. Through their invention work, these children had the opportunity to see that they are capable of changing the world. The most important thing we can do as humans is to make a world filled with hardship a little bit easier. I know that these students will continue to grow as problem-solvers and continue to make the world a safer, kinder, more supportive, better place. Now that Andover’s third-graders have seen what they’re capable of, there is no stopping them. Watch out! The world is about to change.